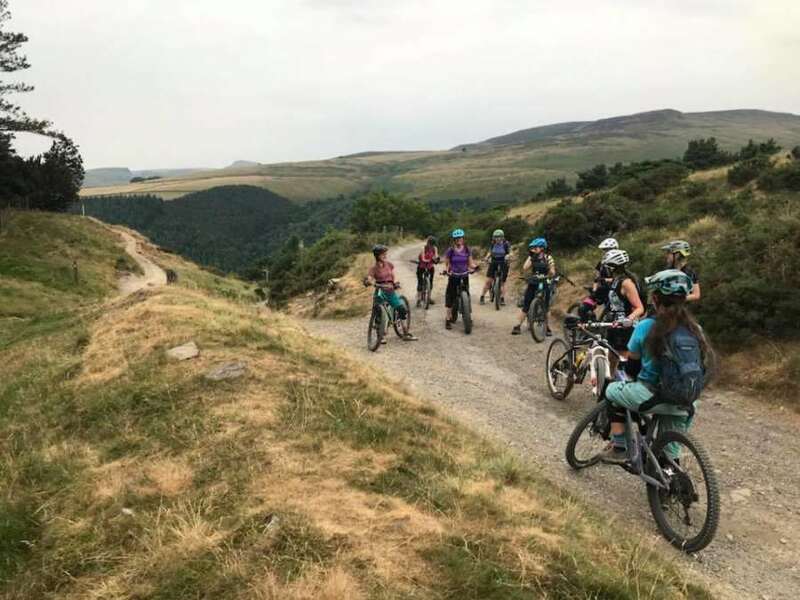 Café Adventure in Hope, Peak District, has been organising social mountain bike rides and events for the past few years. 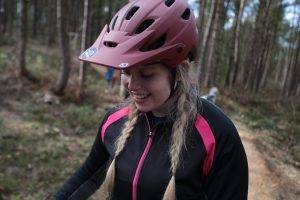 The women’s rides started in November 2016 when I, Rachel (co-owner of Café Adventure with my partner Billy), decided I’d like to find some other women to go on bike rides with. Up until that point I hardly knew of any other ladies who rode mountain bikes and little did I know just how big the womens MTB scene is. It is huge! Our rides regularly have 8-10 riders throughout the winter months and this grows to 20+ in the summer. The Facebook group has approximately 400 members and continues to grow. 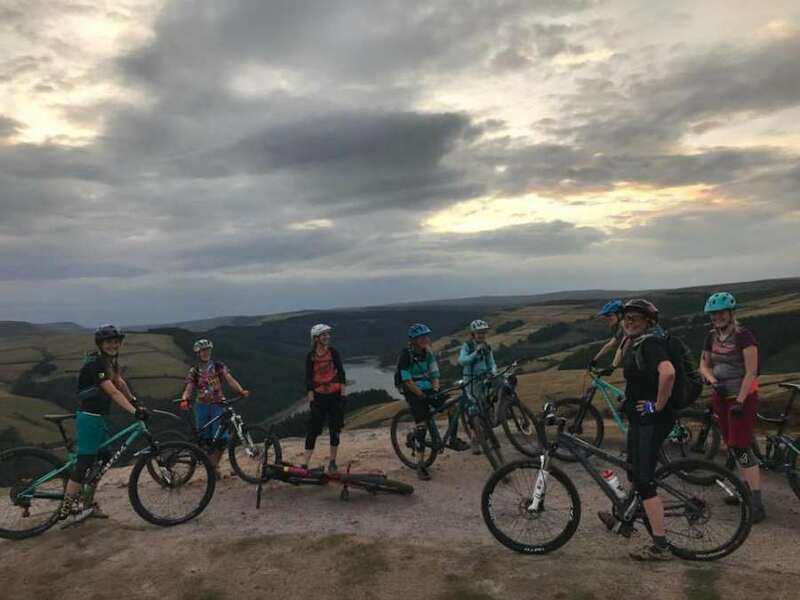 Since starting the group my passion for riding bikes has gone from strength to strength and I continue to urge anyone and everyone, especially women, to get out and experience the benefits of riding your bike in the great outdoors! Mountain biking really is the best sport for your mind and body. Every ride is a breath of fresh air. It clears away the cobwebs inside your busy head after a long day. Spinning your legs and concentrating on the trail ahead gets your heart pumping and makes you live in the here and now! We are very lucky to have the beautiful Peak District on our doorstep. From biking up and down these hills I’ve been able to explore the Peaks so much. You can cover a lot more ground on a bike then when on foot. From riding regularly, I have found my fitness and overall health improve remarkably. I wouldn’t be riding regularly if it wasn’t for the amazing women that I ride with. The Cafe Adventure’s Women Riders. Mountain biking is such a social sport and it has the most friendly and welcoming community. It’s been fantastic to meet and ride with so many different ladies. If you come along to one of our rides you are guaranteed to find common ground with like-minded people, who are always encouraging and supportive. I am very thankful to all of the ladies who I have met and ridden with, a lot of whom have become very good friends. I have so many good memories from fun women’s rides. From stunning sunsets over Lose Hill, to knee deep snow drifts up on Mam tor! No matter the weather, rain, wind, snow or shine, us ladies will ride our bikes. We love it! Even in testing conditions we keep smiling, have a laugh, a chit chat and keep each other going. We ride every Wednesday evening. Meet from 6pm, with wheels rolling at 6.30pm. The location of the rides will alternate between starting from Cafe Adventure or another location around the Peak District. The rides are social and easy going. Plenty of stopping, chatting, laughing and encouraging each other in a relaxed and friendly environment with no pressure. We also have social Saturday rides on the 1st of every month, as well as a dedicated “beginner friendly, give-it-a-go” ride on the 3rd Saturday. On top of these rides we organise regular coaching days and day trips away to different trail centres. We also have a women’s weekend away coming up in May, where 30 of us are heading up to the Lake District with our bikes! As well as social trips we go to races together, like the Red Bull Fox Hunt and Hope Tech Women’s Enduro. Having an encouraging group to attend these races with really helps calm your nerves, takes the pressure off and makes the races a lot more fun! As well as the Women’s Rides, Café Adventure also organises mixed group rides with the Bike Garage. These are organised by Billy from Café Adventure and James from the Bike Garage in Bamford. The group is known as the C.A.B.G Collective. The Women Rider’s and the C.A.B.G Collective will come together for special events, like Halloween, Christmas or charity fundraisers. The next big event in the diary is our Summer Social Weekender in June. We try to make the rides as open and inclusive as we possibly can and we are always welcoming and encouraging new people to join us. The rides are social and self-supporting. There is no guide and no fee. It’s just a place to meet fellow mountain bikers and enjoy the ride together. For more information check out our website and social media pages. Join our Facebook groups to keep up to date with ride info. Information can also be found on the big blackboard inside Café Adventure. Or just ask to chat with Rachel or Billy. Hope to see you at a ride soon! Big thanks for publishing my blog post Let’s Go Peak District! Proud to be a Peak District Voice!